"I'm not running, but I'm going to keep on working and speaking and standing up for what I believe," Clinton said Monday in an interview with News 12, a local TV channel in New York. "I want to be sure that people understand I'm going to keep speaking out," Clinton said. "I'm not going anywhere. What's at stake in our country, the kinds of things that are happening right now, are deeply troubling to me." 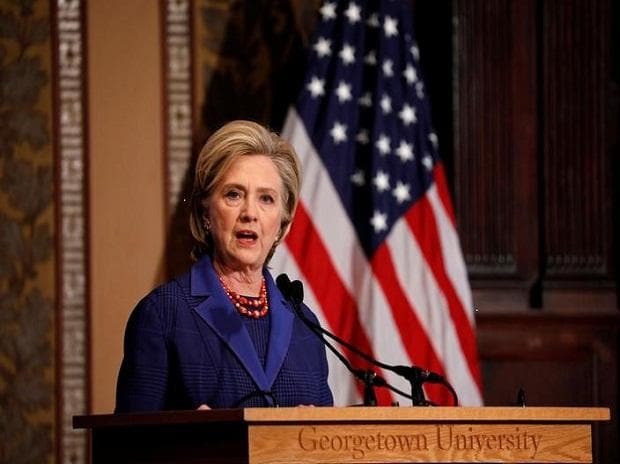 "I've told every one of them, don't take anything for granted, even though we have a long list of real problems and broken promises from this administration that need to be highlighted," Clinton said. "I don't think so, but I love living in New York and I'm so grateful that I had the chance to be a senator for eight years and to work with people across our state," said the former secretary of state and senator for New York state.